It was a terrific collective performance by HorseTourneys qualifiers at this year’s Horse Player World Series, held March 27-29 at the Orleans Hotel and Casino in Las Vegas. Leading the way was Ronald Frazier from Henderson, NV, who finished second and took home over $101,000 (we’e awaiting exact prize totals as yours truly misplaced the prize sheet). 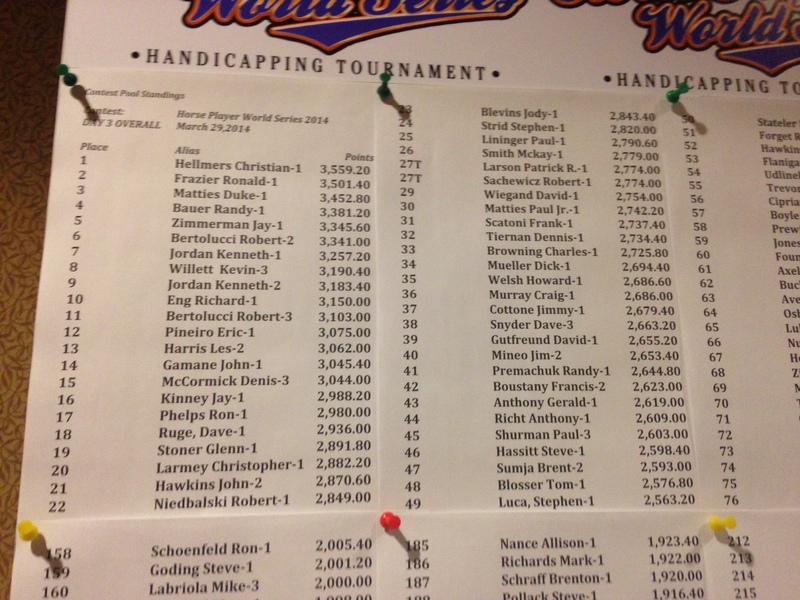 Ron is an active HorseTourneys player that plays nearly every week. Congrats to all of our qualifiers for an outstanding effort. Full results will be posted here as they are received.